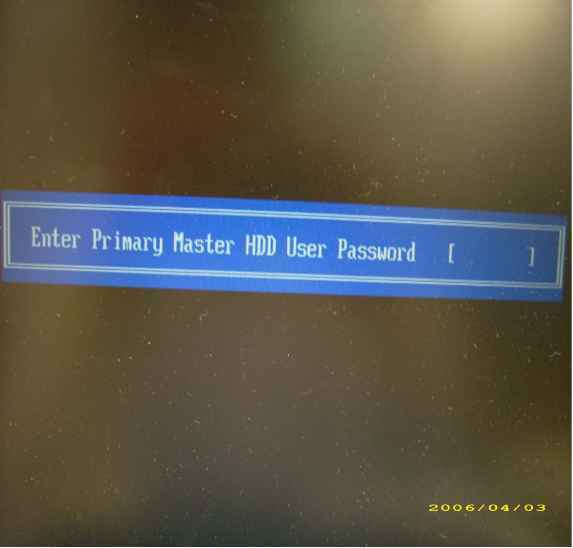 Internal optical drive accepts CDs or DVDs (slot-load or tray-load depending on model). Lights up when the optical drive is active (location depends on model). 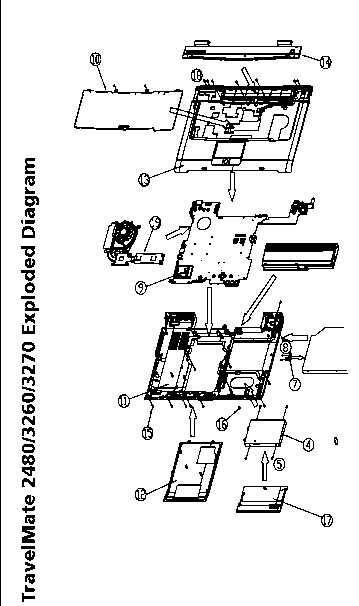 Ejects the optical disk from the drive (location depends on model). 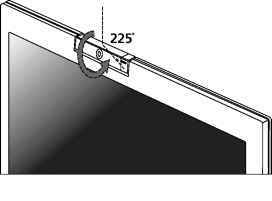 Ejects the optical drive tray when the computer is turned off (location depends on model). The computer has four easy-to-read status indicators The front panel indicators are visible even when the computer cover is closed up. Indicates when the hard disc or optical drive is active. 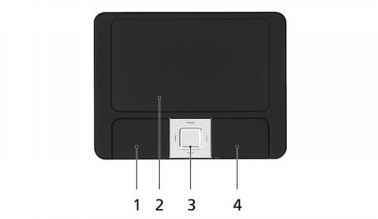 Indicates the status of Bluetooth communication. 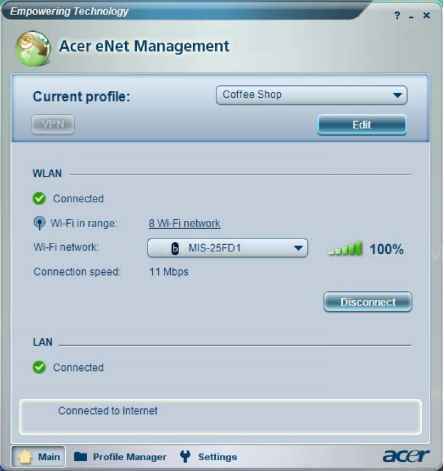 Indicates the status of wireless LAN communication. Lights up when the battery is being charged. NOTE 1. Charging The light shows amber when the battery is charging. 2. Fully charged The light shows green when in AC mode. 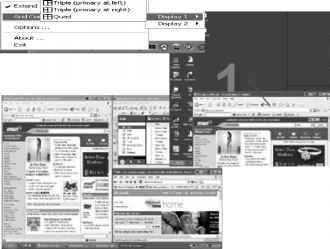 Open a text editor or word processor. 2. Either directly press the < Dollar> key at the bottom-right of the keyboard, or hold < Shift> and then press the < 4> key at the upper-center of the keyboard. NOTE This function varies by the operating system version. NOTE Some fonts and software do not support the Euro symbol. Please refer to www.microsoft.com typography faq faq 12.htm for more information. 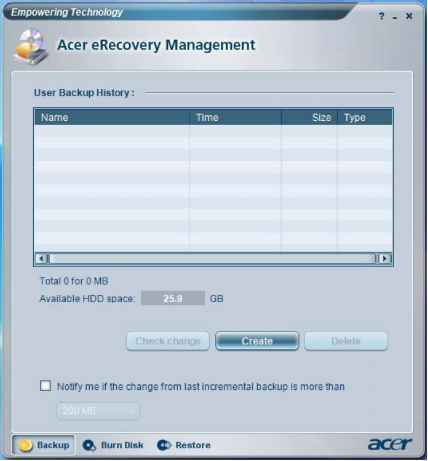 Acer ePerformance Management is a system optimization tool that boosts the performance of your Acer notebook. 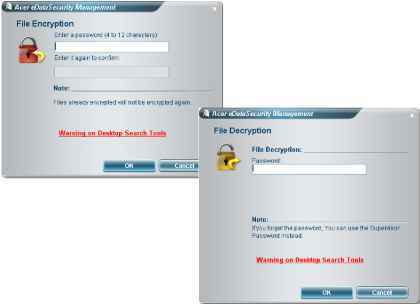 It provides and express optimization method to release unused memory and disk space quickly. 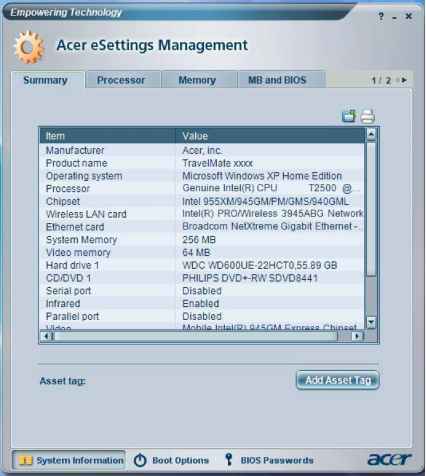 The user can also enable advanced options for full control over the following option Memory optimization - releases unused memory and check usage. Disk optimization - removes unneeded items and files. 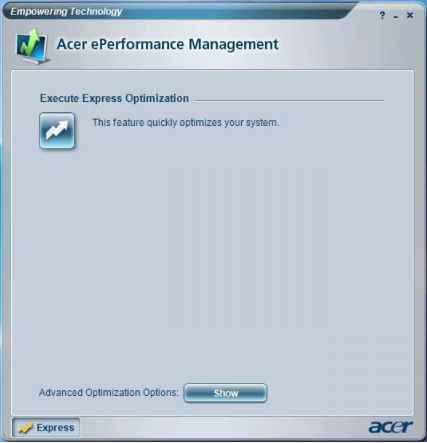 Speed optimization - improves the usability and performance of your Windows XP system. The Acer OrbiCam rotates 225 degrees counterclockwise to achieve the desired angle. 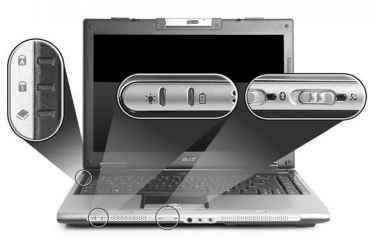 Refer to the illustrations below For your convenience, the camera snaps 45 degrees to match the position of your face in front or at the back ofthe LCD panel. 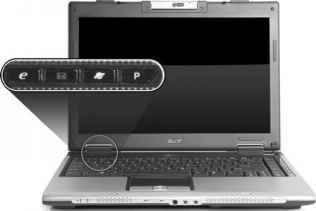 For your convenience, the camera snaps 45 degrees to match the position of your face in front or at the back ofthe LCD panel. NOTE Do not rotate the camera clockwise to prevent damage to the device. 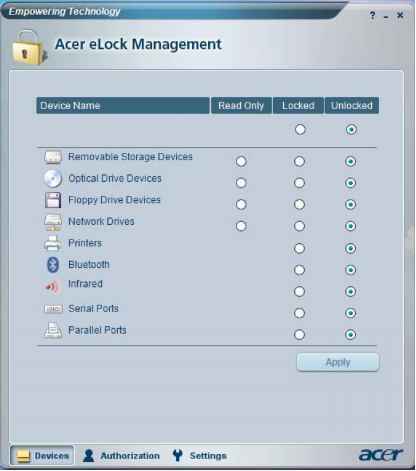 Acer eSettings Management allows you to inspect hardware specifications and to monitor the system health status. 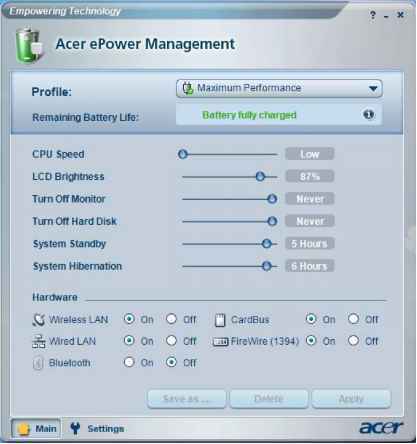 Furthermore, Acer eSettings Management enables you to optimize your Windows operating system, so your computer runs faster, smoother and better. Provides a simple graphical user interface for navigating. 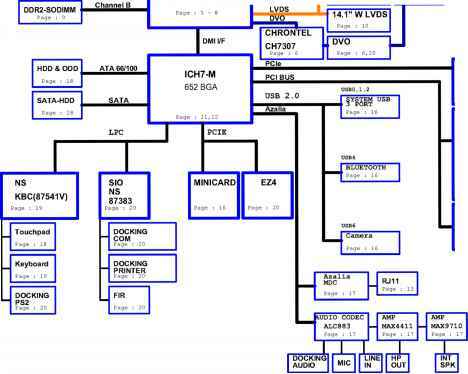 Displays general system status and advanced monitoring for power users.